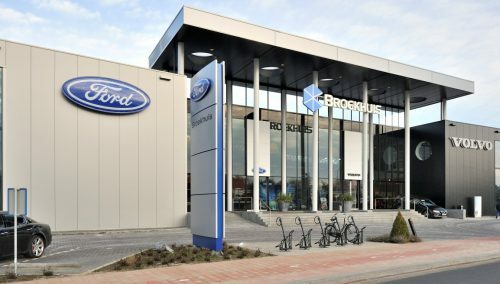 Goedhart Motorbikes is the largest motorcycle store within the Benelux countries. The large shop links the online and offline markets with a large internet store. Goedhart Motorbikes has dramatically expanded. Three years ago, WSB renovated the reception and accessories department of the motorbike store. Recently, we renovated the top floor. 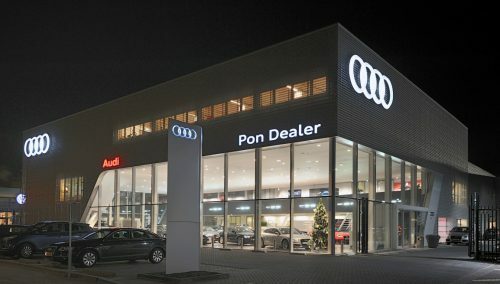 The position of the largest motorcycle business in the Benelux countries was enhanced by expanding the showroom by 600 sqm. The expansion was realised by roofing the parking space. The first floor created space for a shop-in-shop concept. Each motorcycle brand was given a fully dedicated department, including motorbikes, accessories and merchandise. In addition to expanding the space for the motorcycles, we created more space for the department Clothing, Helmets and Boots. This department was designed with black colour accents, unpolished steel and green elements. This was based on combining the concepts of speed and environment. 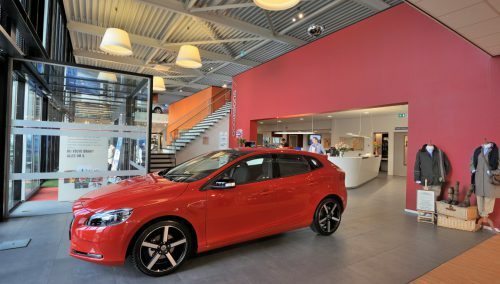 Result>> A fantastic Showroom design in a location in the heart of the Netherlands, where customers are happy to wander, inspired by WSB’s concept and design. The showroom of Goedhart Motorbikes integrates brand recommendations and passion for motorcycles, combined into the DNA profile of the retail design.